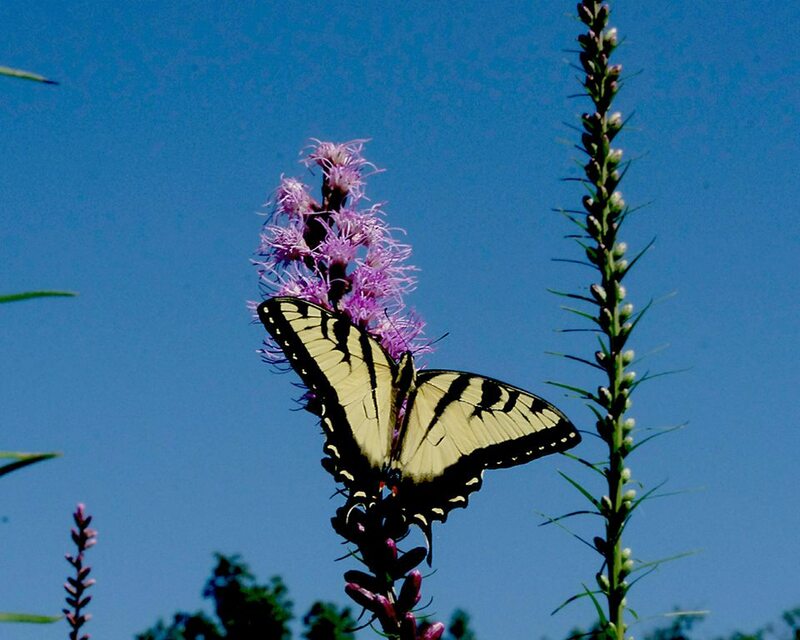 Visit Chaparral Prairie during the peak bloom of its showy Dense Blazing Star colonies – when thousands of purple wands will arise above the butterfly-strewn meadows. Chaparral State Nature Preserve also boasts the largest population of rattlesnake master of any prairie in the state – an estimated 10,000 plants – along with an impressive count of many other state-listed plants and animal species. Nearly the entire preserve is covered by ether native prairie or by open woodland dominated by white oaks and the much rarer blackjack oaks and post oaks. In 2015, The Arc of Appalachia partnered with Ohio Department of Natural Resources Division of Natural Areas and Preserves to successfully purchase an adjacent 60-acre property that nearly doubled the preserve’s land holdings, bringing the preserve up to 130 acres. Financial assistance also came from Clean Ohio and Ohio Natural Areas and Preserves Association. 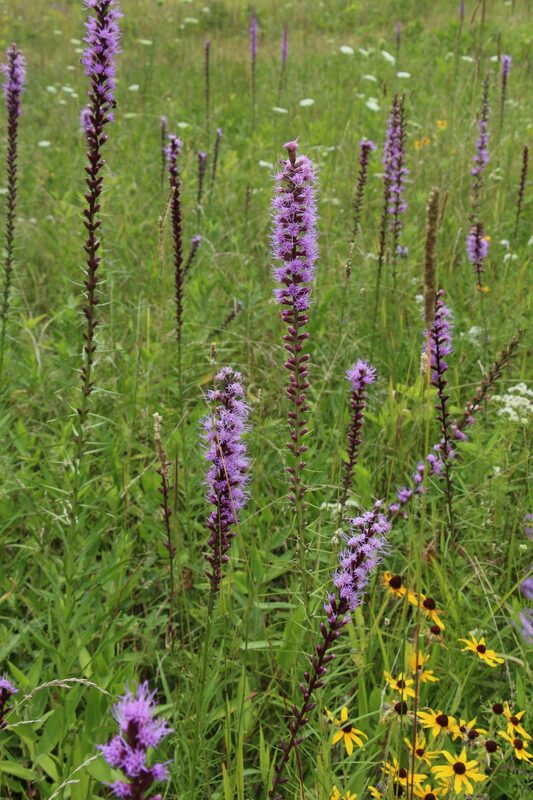 Chaparral Prairie boasts an impressive 22 state-listed species, and both the original tract and the latest expansion are either covered with native prairie or open forests dominated by white oak, post oak, and black oak. The Arc has turned over the new acquisition for the Ohio Department of Natural Resources to manage, and the state has already designed and cut two beautiful new hiking trails on the new property which will be open to the public every day of the year. A beautifully constructed new foot bridge fording the small creek on the new acquisition was built by Division of Natural Areas staff and funded by the Cincinnati Wildflower Preservation Society. Registration will be open 3 weeks before the hike. If you are unable to attend, please email or call us at 937-365-1935 or info@arcofappalachia.org.